Mother who grabbed her daughter’s ‘tormentor’ at school faces child abuse charges. Many kids have heard their protective parents say things like “if you mess with my kid, you’ll have me to deal with”, but one US mom is facing child abuse charges as a result of confronting her daughter’s alleged bully, reported the Press Democrat. According to a report, the mother had entered the school grounds without signing in at reception and asked her son to point out the boy who had allegedly been bullying her 10-year-old daughter. She then confronted the boy, grabbed him around the neck, shoved him and warned him to stop. The boy ran to call teachers who then took photographs of the red marks on his neck. She was subsequently arrested and charged with child abuse; specifically, inflicting injury on a child and is out on bail. A representative of the local police department has condemned her alleged actions (which she denies) and has stated that even if bullying has taken place, parents are not allowed to confront children in this way as there are official procedures which must happen. Parents may find it extremely distressing if their children are victims of bullying. As is made clear in this case, however, it’s unwise to confront an alleged child bully. If the bullying takes place at school, schools have formal disciplinary measures for dealing with bullies according to Department of Education regulations. Parents should rather approach the principal of the school concerned and inform the principal of the allegations. If a child is being bullied in a social setting outside school, parents should approach the alleged bully’s parents and inform them. Should this not work, in more extreme cases the bullying could be reported to the child protection services or at another children’s rights advocacy organisation. Online bullying is harder to prevent, but if kids are being victimised online it may be necessary for the child to go offline for a period. Protective software may also be installed, and the bullied child can be taught how to block and report online bullies. If the online bullying is chronic this should also be reported to the police. Parents should avoid confronting bullies who are children as this may lead to criminal charges. Being protective over your own child is not a crime, but assaulting a child is considered a crime. 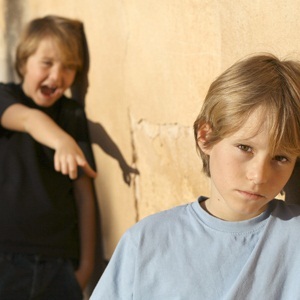 If your child was being bullied, what would you do?